As leaders, entrepreneurs, and business owners of all types (coaching, healers, copywriters and wellness experts) are busy planning for 2018, sprints are all the rage. They come in many varieties: 5 Day Sprints, 10 Day Sprints, 90 Day Sprints. They are directed at various outcomes from fitness goals, to course design, to business planning, to habit-shaping, to media and marketing. Sprints are popping up in inboxes, FB newsfeeds and such. (One 10 day Sprint that I love is Natalie MacNeil’s Conquer Club Accelerator. You can check that out here! But why are sprints SO popular? Because they leverage focused effort and intensity to move us toward success. They also build in rest periods. This is important because research shows we cannot go full out all the time without burning out. And while there may be no doubt that sprinting creates powerful results in the short-term, does this practice really create sustained change in the longer term? Reviewing research literature from the domain of exercise indicates that the answer is, most definitely, yes. For example, High Intensity Interval Training (HIIT) is used to increase cardiovascular capacity, fat burning, and weight-loss, and it consistently produces significant and sustained results. You can see this in many branded versions of HIIT that capitalize on this well-documented strategy; just check out Tabata training to Orange Theory Fitness. So, the next time you are looking to make some headway on a new project, planning your signature program, or a fitness and wellness habit of running or meditating, try employing the strategy of the sprint. Everyone has a different natural rhythm. Some of us are geared toward high intensity most of the time, while others roll on a fairly steady pace day-to-day, and others of us find it hard to get and/or keep going. 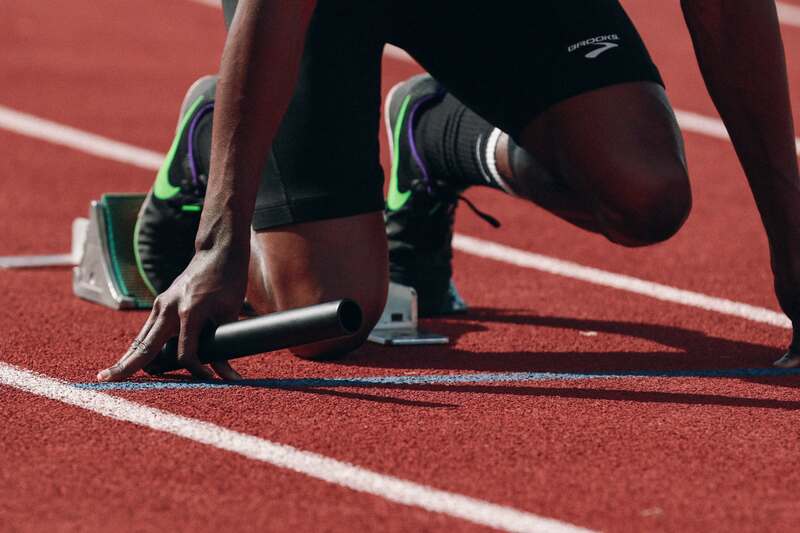 Regardless of your natural rhythm, engaging a sprint mentality can help you successfully reach your next goal. Choose ONE thing to focus on, a micro goal that is simple + succinct. Define it. How will you know you have met your goal? Quantify, if possible. Map out the strategy. Make it realistic. Make it doable. Make space in your schedule. Set the time frame. Build in accountability. Report progress to a friend, colleague or your dog. Know WHY this is worthwhile. Because when you have Audacious Visions and you add focused and intense Action, you are bound to be unstoppable. Onward Arc Benders! Get bi-weekly tips and tricks to catalyze your course creation! Sign up now to have the Curriculum Catalyst CREATE Challenge. Begin your course creation TODAY!